The kitchen above turned a purely functional granite splashback into the focal point of the kitchen. 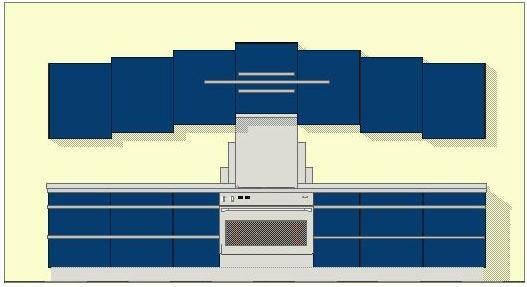 The kitchen itself is a plain Shaker style, painted a nice Deco grey green. But the Skyscraper style stepped splashback, as well as being practical behind the hob, established a strong Deco feel to the room. While the curved glass extractor isn't totally in style, it is difficult to make a splashback work wioth it's shape - however, the top step in the splashback here lines up with the width of the chimney for a satisfactory solution. 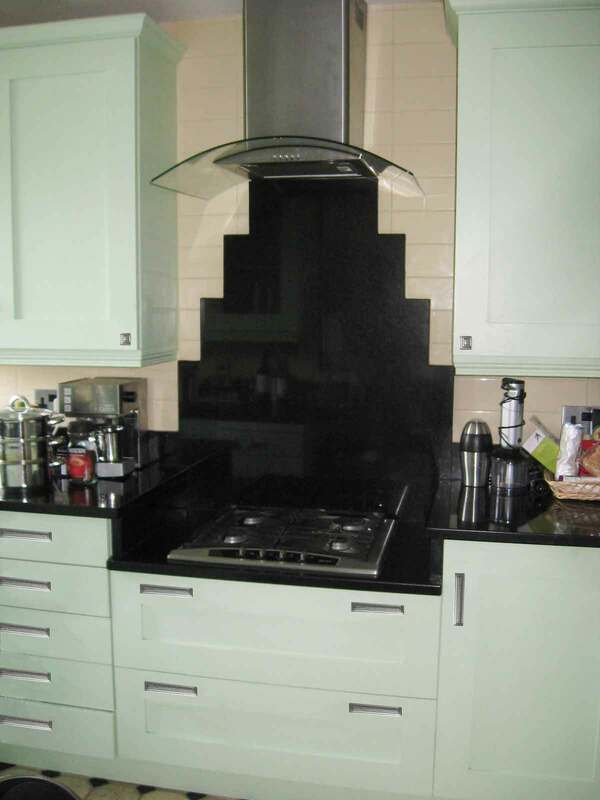 Of course we could do this splashback in natural or manmade stone colour, polished or honed. You could even contrast this granite with the worktop granite colour. The use of these pewter 'stepped' handles added to the overall Deco feel. Stainless steel is ever popular in the kitchen for splashbacks, both for it's practicality & metallic good looks. But it doesn't have to be just a square panel behind the hob. This design shows a stepped stainless steel splashback to great effect, while still giving wall protection.